2015-2016 is the 35th season since the inception of Pro Coro Canada. 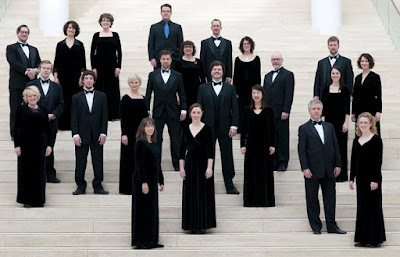 Pro Coro Canada has the great fortune to have, in its own membership, some of the finest singers in Alberta, many of whom have gone on to distinguish themselves as soloists, such as Nathan Berg, Wendy Humphries, Frances Jellard, Michael Meraw, Linda Perillo and John Tessier. Pro Coro Canada also enjoys joining with choirs from around the world, and has performed with Calgary Boys’ Choir, Elmer Iseler Singers (Toronto), Richard Eaton Singers (Edmonton), Schola Cantorum Choirs (Edmonton), Stockholm Chamber Choir, Studio de musique ancienne de Montréal, Swedish Radio Choir, Tafelmusik Chamber Choir (Toronto), University of Alberta Madrigal Singers, Vancouver Chamber Choir, and Winnipeg Singers. An Interview with Conductor of the National Youth Choir and Pro Coro Canada, Michael Zaugg. It has been two years since you were announced as the NYC conductor, what have you been up to in order to prepare for the choristers coming your way in May? After this process, I was working with the Choral Canada team in order to set-up the residency and the tour. That included the creation of a schedule for rehearsals and activities, coordinating with our Alberta project manager James Frobb (NYC alumni) and possible presenters. Then came the preparation of the scores. During this time, across Canada, many young singers auditioned for the NYC and each province subsequently put forward their participants. At this very moment, I’m finalizing the detailed divisi for each section, assign solos, send out translations, languages files and connect with the singers to assist in their preparation. What insights can you give into the works or activities you have planned for the NYC? The concert repertoire takes its inspiration from the last stanza of ‘The Divine Comedy: Inferno, Canto XXXIV’. The first half of the concert is conceived as an journey from Hell back to Earth's surface and on to Heaven. This ascension is presented through various looking glasses, there are religious, pagan, poetic and spiritual points of view. The second half picks up on this theme, but also introduces the northern way ‘via borealis’ as a sub-theme. There are several new works on the program, for example ‘Tread Softly’ by Bolden, the winner of the Choral Canada composition competition, or ’There is a Sound’ by Albertan Allan Gilliland. The first half is certainly very intense, vocally, emotionally and intellectually, and includes Mendelssohn, Tormis and Poulenc. After the intermission, the style and mood is lighter. One element which is likely new to many singers, is the absence of a rehearsal pianist. We will perform an a cappella program and therefore also rehearse a cappella. I’ve already asked the singers to organize and get used to a tuning fork. Working without piano will probably be slowing the process for the first rehearsals, but the improvement in sonority and pitch awareness of the ensemble will be increasing exponentially. What topics are you looking forward to discussing on your panel with other conductors on commissioning works? I think we all have some experiences to share and hopefully learn about other, maybe even new, ways of working with composers. In general, I'm interested in emerging composers, and there it is as much about finding a promising - new - approach as it is about guiding the person to understand and write for the vocal instrument. You will also be working with some conductors in training during a Podium masterclass, do you have any overarching skills you wish to convey to masterclass participants before you go in? My advice prior to a masterclass participant s ‘prepare well - don’t drill’. So, know the music, but don’t practice a pattern or cue over and over. I’ve worked with conductors who had to re-learn the ‘choreography of gestures’ because suddenly the sopranos were sitting to the left and not to the right. There will be a short time available on the podium for participants and ideally we’ll be working on how the gesture can convey the interpretation. Another important skill is listening. My instruction for this will likely be more an ‘on the spot’ question: "what do you really hear?". While listening to a recording is a legitimate means to acquiring new music, it is always challenging to hear what the choir actually sounds like and then to work with that sound. You are now in your fourth season as Artistic Director of Pro Coro, during that time, can you share some highlights you have had with the group? Yes, tempus fugit! These past seasons were fantastic and the work has been very rewarding. Now that my family and I live in Edmonton, being resident is a highlight! 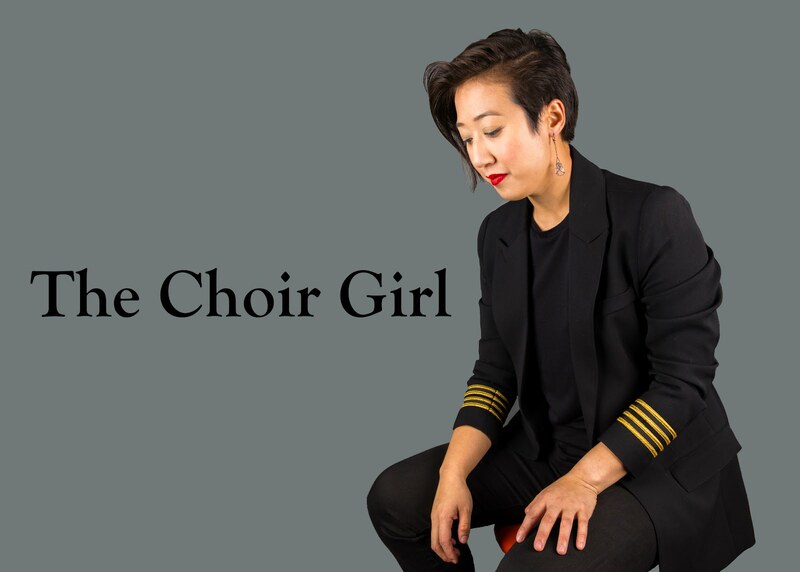 Edmonton has a great choral community, the conductors are extremely supportive of each other, cross-disciplinary projects are encouraged and the breath of choral offerings is amazing - all this, while the city has a small town feel to it. I was at the farmers market with the girls last Saturday, and bumped into three different audience members. Pro Coro has performed fantastic choral works over the last seasons, and I’m very happy about the daredevil approach to any type of score. My first concert with the ensemble featured ‘The Nightingale’ by Praulins, 30 minutes of contemporary writing in 20 parts, and the group embraces challenges like this. I generally pick works that I want to perform, so any performance with this group is rewarding. I’m particularly excited about the ease with which the singers approach staging, new performance set-ups or mixing of styles. If there are moments that stood out, I’d have to mention the various collaborations with other choirs, i.e. 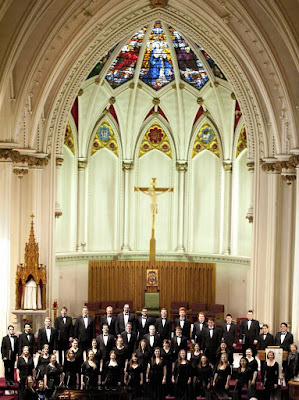 the Cantata Singers in Ottawa, Halifax Camerata, Richard Eaton Singers, Madrigal Singers, Spiritus and of course the Vancouver Chamber Choir. Most of these collaborations happened while on tour and traveling with a choir is always a highlight. All of your programmes have a thematic concept, and the opening concert with PCC and Opus 8 is no exception. Where did the themes of Darkness and Light come about? The Genesis of this program, I frankly, can’t remember. Going back to my ‘programming wall’, I see that the repertoire was very different originally. The only work that remains is ‘Der Abend’ by Strauss. This work was then the talking point around new works by Robert Rival and Paul Mealor. Robert B. (of Opus 8) added his ideas, and somehow the theme ‘Darkness and Light' emerged. The program in its current form is very cohesive, varied, and engaging, and showcases the sonority of each group. I also had to keep in mind the subsequent Pro Coro subscription concert ‘Shadow of Dreams’ and how some of these works could be repeated in a different light (pun intended). In general, my programs start with a particular piece - Dreams by Finnish Kortekangas in this instance - which inspires through its text sources and through its musical material the selection of many other works. I usually find music for two or three programs, and the challenge is, to compile 80 to 90 minutes that will engage choir and audience, feature Canadian content, represent various styles and languages and are doable within the allocated rehearsal time. The final test is to remove that initial composition and see if the program can stand on its own. Is there a dream choral project you would want to program if budget and singer numbers were not a barrier? My musical day-dreaming is more about which text I would like be set to music by which composer. At the moment, I’m fascinated with the idea of setting fairy tales to music. I’m still captivated by ‘The Nightingale’ by Praulins, and would love to create a new, major work based on the Little Prince. Another dream I have is to create a larger work together with Tom Waits, for choir and his unique voice and story telling skills. While we would not need more singers, such commissions are large budget items. There is also a large work by British Marsh 'Pierrot Lunaire’, that was written for 10 choirs/ensembles from London/UK, including the Kings Singers. And, I’d love to do one of Schafer’s larger works in the Edmonton River Valley. Since moving to Canada, Swiss-native Michael Zaugg has distinguished himself as an innovative and versatile conductor on the national choral scene. Active as Artistic Director, Guest Conductor, pedagogue and clinician, Michael Zaugg brings a wealth of experience and creativity to his work. 2012-2013 marked the start of Michael's tenure as Artistic Director and Principal Conductor with Pro Coro Canada in Edmonton. The professional choir is a resident ensemble at the Winspear Centre producing 7- 9 season concerts and participating in many local and national choral events. As Artistic Director of both the St. Lawrence Choir in Montreal (2007 - 2013) and the Cantata Singers of Ottawa (2005 - 2014), Michael is constantly exploring new ways of integrating art forms with choral music, featuring live paintings, poetry and light /multi-media to name a few. His concepts feature traditional orchestras as well as rarely-heard instruments such as the alphorn, accordion or the gamelan. In 2009 Michael founded the Montreal Choral Institute, an umbrella organization dedicated to the advancement of choral education. The Institute’s main mission is to educate the choral leaders of tomorrow through master classes, workshops and performances. The Institute’s in-house choir voces boreales (founded in 2006) showcases contemporary a cappella music of Scandinavia and the Baltics along with the classical works of choral history. 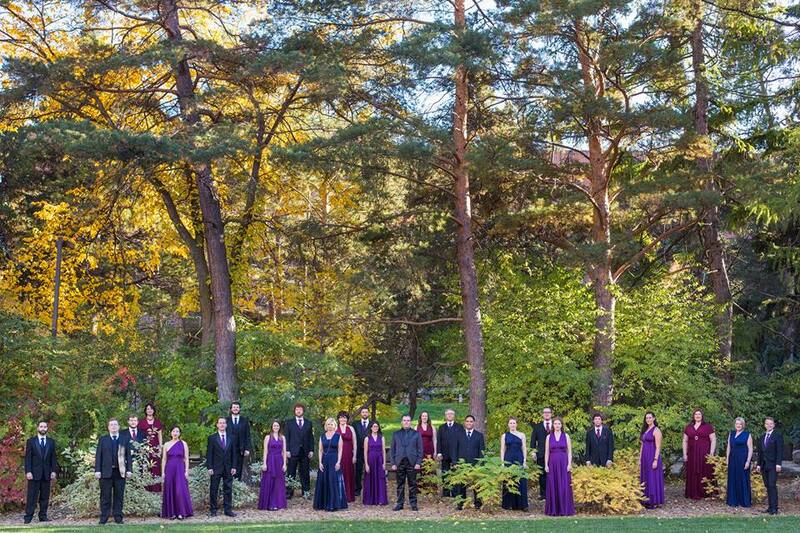 Under his leadership, the 24-voice ensemble has been featured in the Montreal International Bach Festival, the NAC eXpressions Music Series as well as on CBC Radio 2. As Guest Chorus Master of the Orchestre Symphonique de Montréal, Michael successfully prepared groups of up to 1500 singers for OSM Artistic Director Kent Nagano, including the award-winning performance of St. François d’Assise by Messiaen. Michael also prepares the Cantata Singers for their appearances with the National Arts Centre Orchestra under conductors such as Franz-Paul Decker, David Lockington, Trevor Pinnock, Helmuth Rilling and Graeme Jenkins. 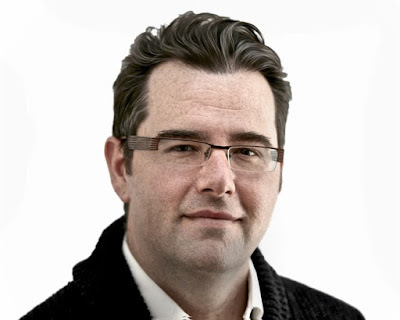 Active also as a Guest Conductor, Michael Zaugg has worked with groups including the GRAMMY-nominated choir of Trinity Wall Street (NYC), the Richard Eaton Singers, Halifax Camerata, musica intima, l'Orchestre Symphonique de Longueuil, the Ontario and the Nova Scotia Youth Choirs. As Guest Lecturer he has worked with students at Brandon University (MB), University of Alberta and McGill University (QC). He is often invited to work with provincial choral federations throughout Canada, namely in Nova Scotia, New Brunswick, Ontario, and Alberta. In Europe he has appeared with the Danish National Youth Choir and the Academic Chamber Choir of Ljubljana (Slovenia) at the Bramstrup Performing Arts Festival in Denmark, as well as with the International Choir of the Zimriya Festival in Israel. In Switzerland, he was Chorus Master of the Swiss Oratorio Choir Regiochor for five years before moving abroad. Michael Zaugg was the first Swiss conductor to be accepted to the Royal Academy of Music in Stockholm, Sweden, in its prestigious post-graduate Diploma for Professional Choir Conducting. Throughout this two-year program, Michael worked weekly with singers of the world-renowned Swedish Radio Choir and also had the opportunity to work with Sweden’s gems- the Adolf Fredrick’s Girls Choir and the Mikaeli Chamber Choir. Originally an accomplished tenor, Michael Zaugg toured Europe and Asia with professional groups including the Swiss Chamber Choir, the Chamber Choir of Europe, the World Chamber Choir and the Stockholm Chamber Choir. A passionate pedagogue, Michael Zaugg is strongly committed to his work not only with choirs but also with other conductors. He teaches privately and has given numerous Master Classes on conducting and rehearsal technique. The Montreal Choral Masterclass attracts many conductors from Canada and abroad every year. Michael’s students, coming from diverse choral backgrounds, appreciate a hands-on approach when working with his ensembles.